VILLAS AND APARTMENTS TO RENT IN NEVIS, THE CARIBBEAN. Welcome to our selection of holiday homes to rent in Nevis, the Caribbean. Nevis is a tiny island in the Caribbean situated at the northern end of the lesser Antilles archipelago. It forms one half of the two-island nation known as the Federation Of St Kitts And Nevis. The island is cone-shaped with a volcano at the peak called Nevis Peak. The nearest international airport is at St Kitts, just a short ferry ride away. Nevis is an ideal resort for those who wish to avoid congestion and packed beaches. The temperature averages around 25 degrees C with little change according to time of year, but a steady trade wind blows from the northeast. Rainfall tends to be heavier at higher altitudes. There is also little temperature change with nightfall. Nevis Peak, the dormant volcano in the middle of the island, would be one of the most obvious attractions to explore. The peak is about 3,000 feet high so a walking tour all the way up to the top may not be suitable for everybody. The trip would involve a journey time of approximately three and a quarter hours and should not be undertaken without a knowledgeable guide. For those not prepared for the full journey to the top, the forested mountainside is still good for exploring. The native wildlife can be seen in abundance there, including monkeys, mongooses, tortoises, lizards and bats. Even though the island is small and the coastline is short, many water activities are crammed in. Boat charter, deep-sea fishing, windsurfing and snorkeling are all readily available. At the right times of year the beaches are breeding grounds for turtles and some tours are dedicated towards observing the laying and hatching of their eggs. Looking for self catering holiday accommodation in Nevis? 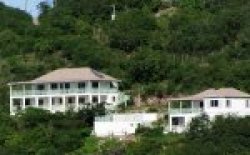 Then below is a selection of apartments in Nevis and villas in Nevis that can be rented direct from their owners. You can either click on each listing for further details or you can use our search engine on the left if you are looking for something in particular.